Aaaand it's Wednesday again... 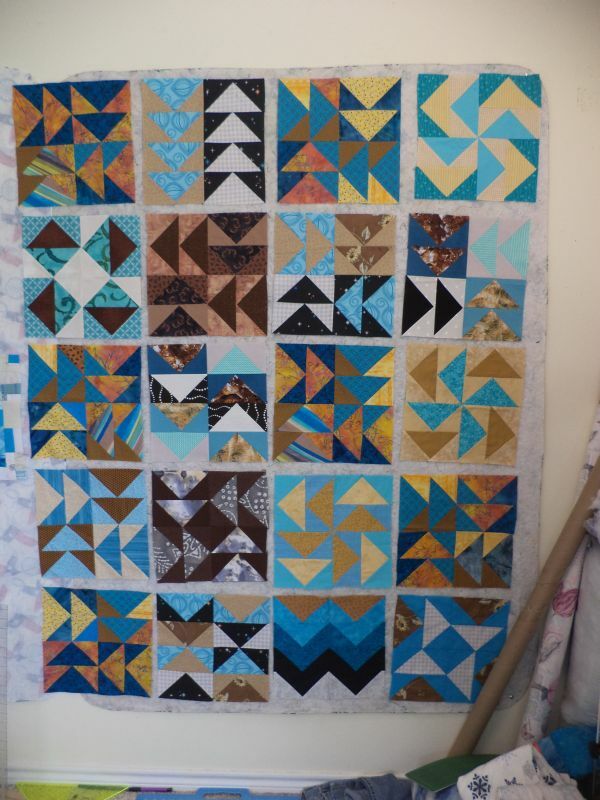 I *think* there are just a couple more of the flying geese blocks for last month's Covered in Love block drive to arrive, so I have been playing with them on the design wall. If you want to contribute a block (or a few) to CiL this month's block drive post is up here. 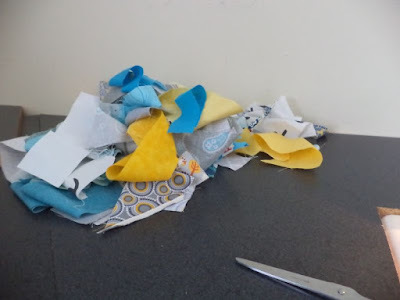 I have been working on some back burner projects, one of them is this Quilt as You Go string quilt I started a while back. I'm just piecing strings onto strips of batting, not sure how they will all end up coming together. Love the color scheme of the strings. 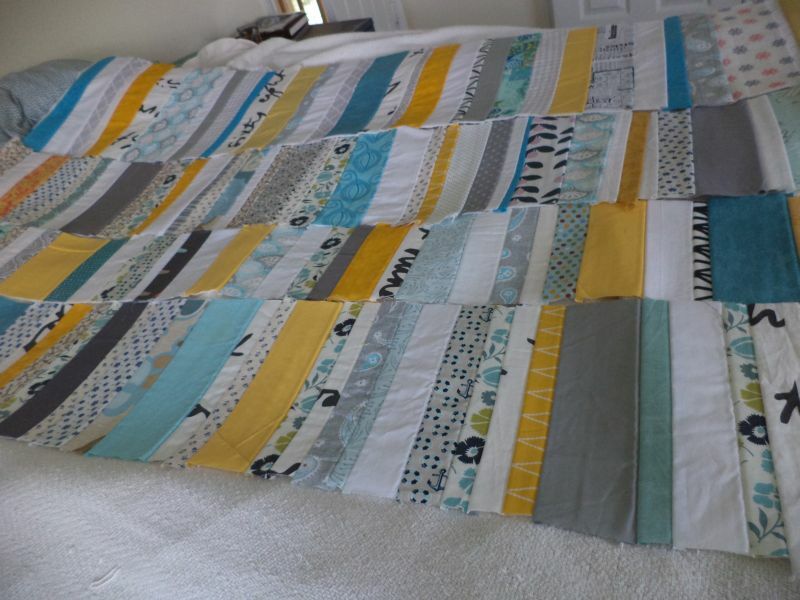 I like the colors of your string quilt! I've got to try that sometime!